While working on his album, Cairo, Illinois, Blake Saint David would occasionally advertise recording sessions for $35/ hour. An amazing deal except for one caveat, the sessions were to be exclusively held over Skype. David is an admitted homebody of sorts, but they’ve learned how to excel with the resources at their most immediate disposal. After listening to Cairo, Illinois as an artist you’d probably want to hop on that offer as soon as it’s available again (if it ever is). Although David might record in theirs, the music goes beyond the bedroom pop tag. The album starts with “Exactly Where I Should Be,” a heartrending piece that sets the tone for the rest of the 10 tracks. In just over two minutes David discloses their ambitions, parents’ addictions, bouts with depression and fear of loneliness. These subjects are explored more comprehensively throughout the project while allowing themselves to flex their artistic range. “Smart Shot,” “Deadlights,” and “Ablaze” are clear-cut rap records. “My Name,” “Location,” and “4 You” in turn lean into pop elements. Still just a teenager, David is embedded to the internet and their generation’s anxieties, making it easier to connect with them on a visceral level. Most of the songs here are catchy enough to be a Tik Tok video away from virality. But their talents transcend age and the heteronormative world we live in. Not only is their confessional approach to songwriting gripping, but as an executive producer they do an outstanding job knowing what type of vocals to use and the importance of a song’s placement. 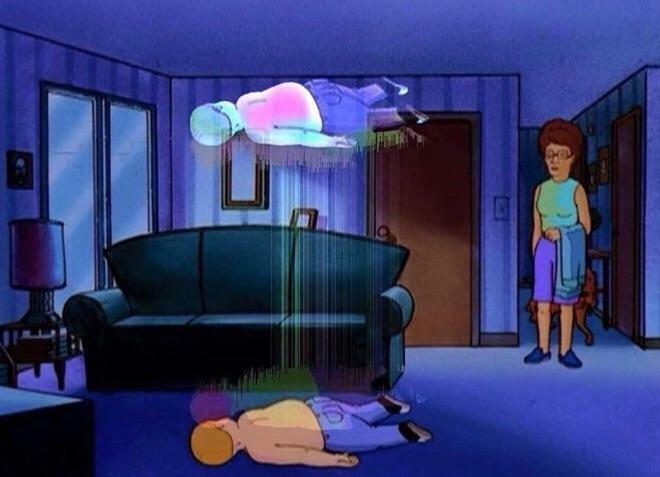 The first time you listen to the transition between “Soul 4 Sale” and “Location” is best described by this Bobby Hill meme. David wears their heart and influences on their sleeve. There’s hints of BROCKHAMPTON/Odd Future and even an interpolation of Kanye West and Kid Cudi’s “Gorgeous” in “I Think Too Much.” Yet Blake brings a refreshing take on the various sounds they experiment with and often excels in these sonic spaces. In a 2018 These Days feature, Lauren Kruis described David as “innovative, inspiring and willing to take people on a journey that might be too painful for others to undergo on their own.” Cairo, Illinois validates that statement. The stories David shares here are full of confessions riddled with anxiety and fear, but their empathetic perspective (especially when they mention their mom) makes the album an endearing journey of self-discovery.